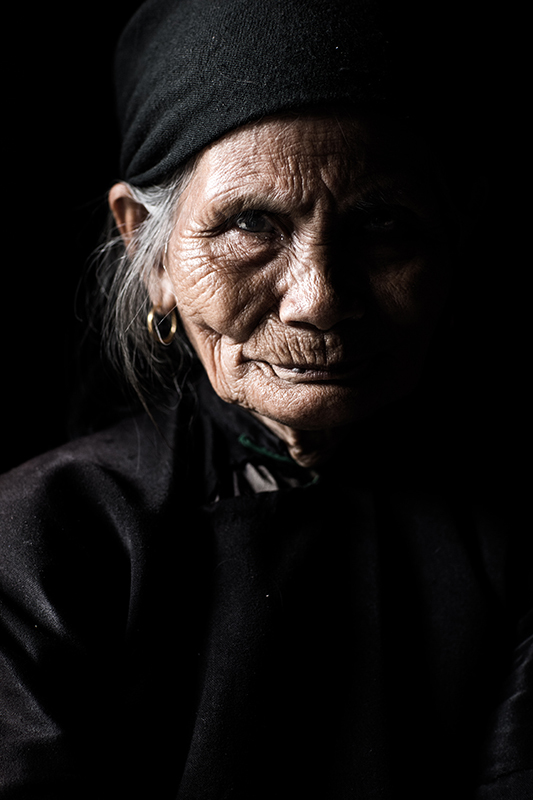 The Giay constitute one of the smallest ethnic groups in the country. 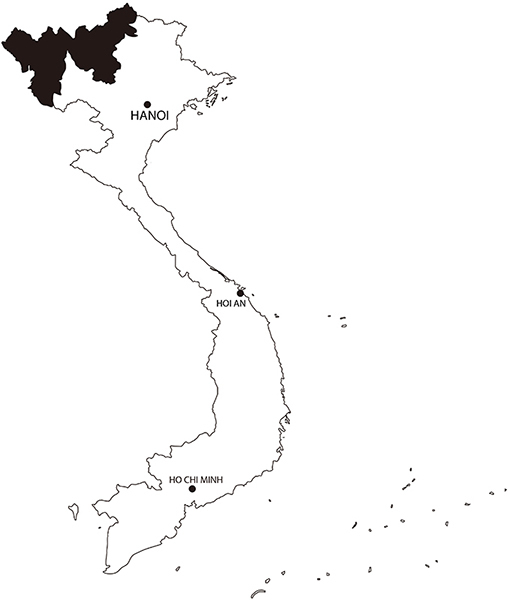 They immigrated from China but settled in the northern regions of Vietnam around 200 years ago. I met the Giay several times in the last six years in the touristic regions around Sa Pa where their assimilation to the Vietnamese people is already well underway. It’s in 2018 that I went looking for the traditional costume. It took me over 2 hours on the motorbike towards the mountains to finally meet them. The Giay’s original costume was particularly subdued in its black uniformity, but it is now practically impossible to find. There have been a great many changes in the last forty years, and the colour – particularly blue, highly appreciated – made its way to very modern looking costumes. Previously, these were made by the Giay from pieces of cotton, however their new outfit, that they rarely wear, is now made externally from synthetic fabric. One of the Giay woman told me that her children asked her to burn all the old costumes to make space in the house! Sìn Thị Rúm, 82, kindly put it on for the picture.